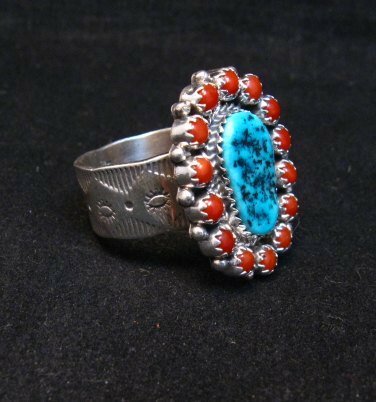 Check out this Navajo handmade turquoise & coral cluster sterling silver ring. 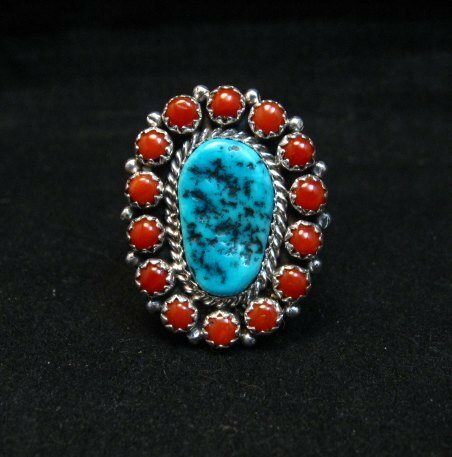 A natural Sleeping Beauty turquoise stone is surrounded with 14 coral cabs and set in sparkling sterling silver. 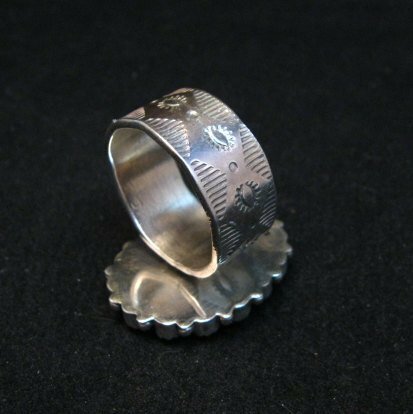 The 3/8-inch wide silver band is stamped all the way around. 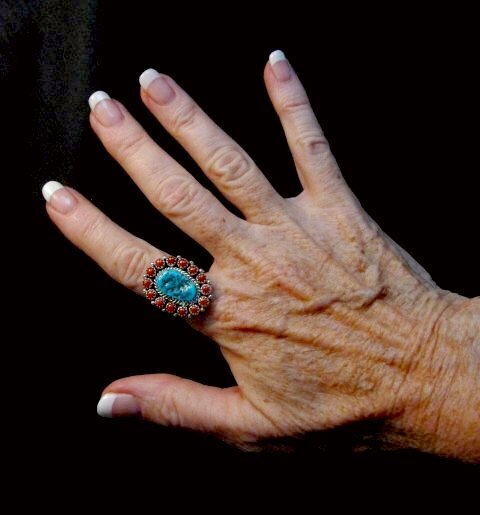 The face of the ring measures 1-1/16 inch long by 7/8 inch wide. 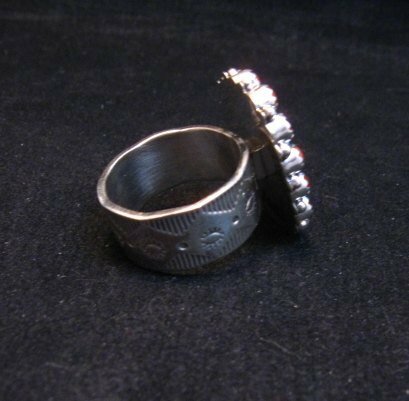 The ring weighs about 13.3grams.